The new Wilson Road Trailhead park serves as a major trailhead for the Camp Chase Rail Trail. WSA Studio and the project team worked closely with not only the Columbus Recreation and Parks Department, but also the community as a whole. The team facilitated community and stakeholder meetings. 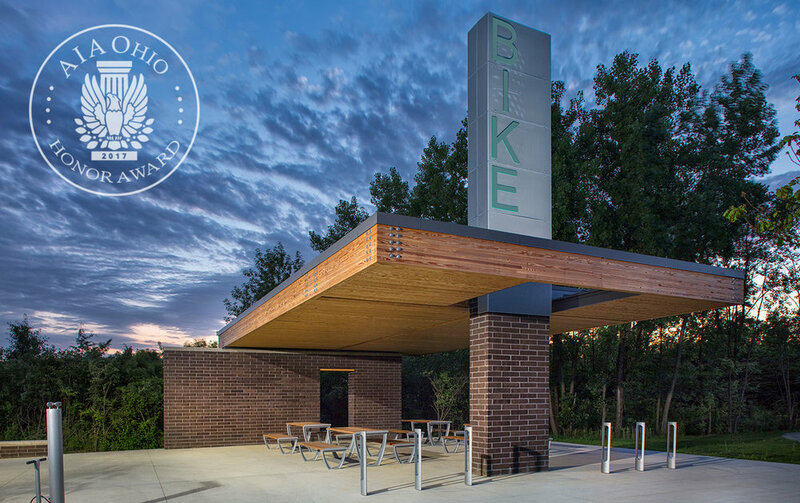 Based on community input, the 47-acre park includes an open-air shelter with picnic tables, bike racks, and a bike-repair station. The project was completed in the Spring of 2017 and has already seen a great deal of use from cyclists and park-goers.